Commemorates the 400th anniversary of the founding of the city of Santa Fe in 1610. 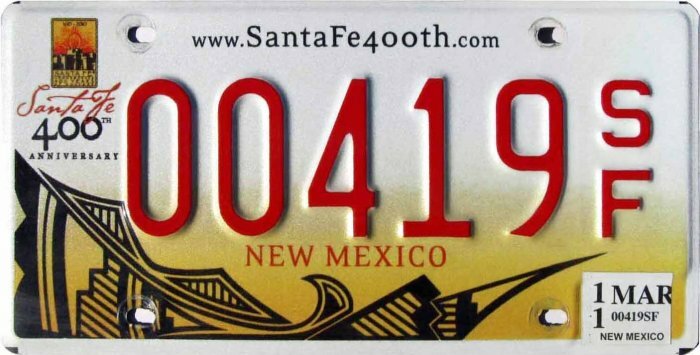 This was a limited run plate, initially issued in 2010, and is no longer available. Photo Credits: 2011 Santa Fe courtesy Michael Breeding.